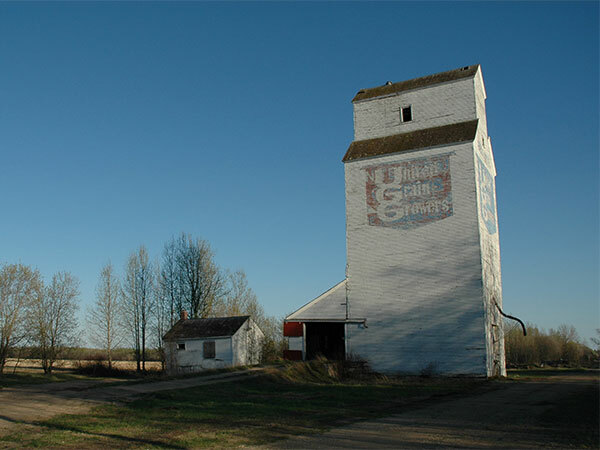 A wooden grain elevator at Bellsite, on the CNR Erwood Subdivision in the Rural Municipality of Mountain, was built in 1951 by Manitoba Pool Elevators and sold to United Grain Growers in March 1960. 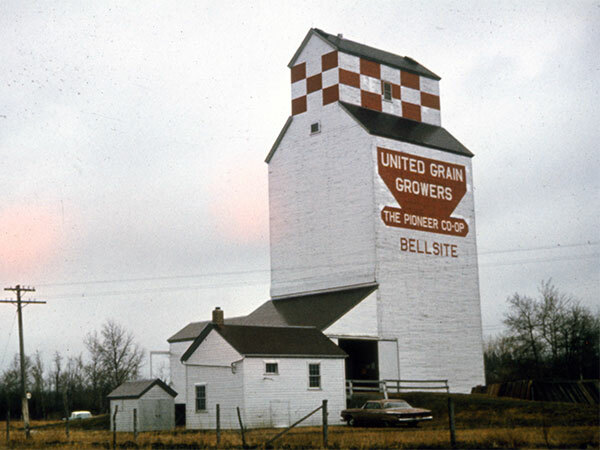 It was operated for a few years on a part-time basis, along with the elevator at nearby Novra, but increasing costs and low grain throughput led to its closure in November 1975. 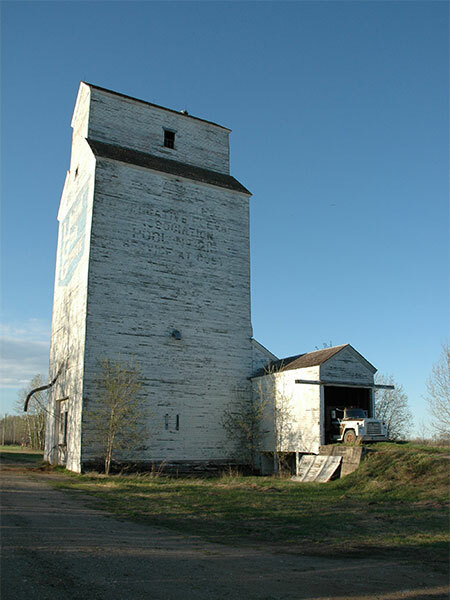 The elevator was used for private grain storage until 16 September 2007 when it was destroyed by fire. “Bellsite elevator totally destroyed by intense fire,” Swan Valley Star and Times, 25 September 2007, page 1. 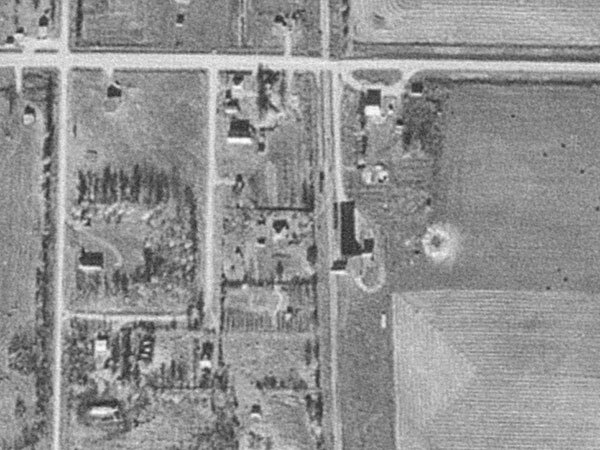 This page was prepared by Gordon Goldsborough, Bernie Freeman, and Denis Sabourin (Sabourin Geomatics).